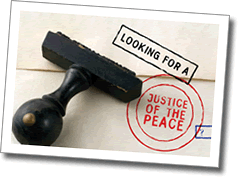 The Griffith City Library now offers a Justice of the Peace Service from Monday – Friday from 2 – 3pm. Generally a JP can: witness oaths or affidavits, take statutory, declarations and affirmations, witness signatures, certify a true copy of an original document. For further information about the service, please contact the library on 6962 8300.